Love is certainly in the air for one of our Patrangers as we break down this week's episode! 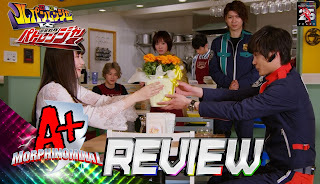 We explore Keiichiro's awkward struggle between Love and Duty! Plus, has Umika finally been found out to be a Lupinranger? All that plus much more in this week's episode of A+ Morphinominal!